There is a wide variety of car air freshener products available but finding one that actually works can be difficult. Whether you need to eliminate bad odors or simply want a pleasant scent inside your car, our recommendations should help you decide. The best car air freshener is the Febreze Car Vent-Clip, which eliminates odors and produces a pleasant linen and sky scent that lasts for up to 30 days. An air freshener for your car is available in far more different types compared to the standard paper example that wraps around your rear view mirror. Desirable alternatives include cans with gel or fibers, vent clips, aerosols, sprays and more. The quality of an air freshener can be seen by the length to which it will remain outputting a scent. Some may last just a week but some can last several weeks depending upon the environment. For example, if they are left inside a hot car for long periods, this can reduce the long lasting scent. The problem with many cheap air fresheners can be the fact they cannot be controlled. Some can be adjusted by a dial or vented lid, which allows you to control the intensity of the scent to suit your requirements. 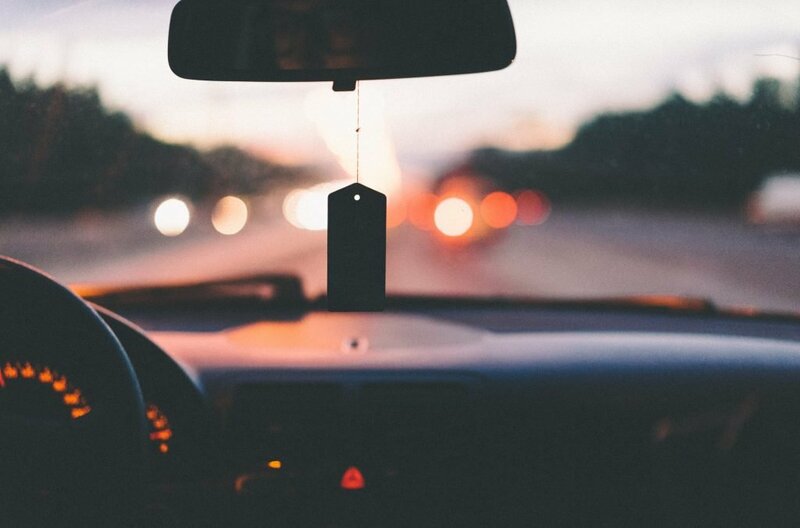 Below is a list of the best car air fresheners that will effectively eliminate odors and release a pleasant scent of your choice. Febreeze are a global brand that produce a range of washing and cleaning products. Their car air freshener simply clips straight onto your air vents and can be adjusted to the amount of scent intensity to suit your requirements. The Febreeze Car Air Freshener is one of the best that is long lasting and will eliminate the majority of odors. It is slightly expensive compared to some of the alternatives but compared with other air fresheners that connect to the vent, this is far higher quality. 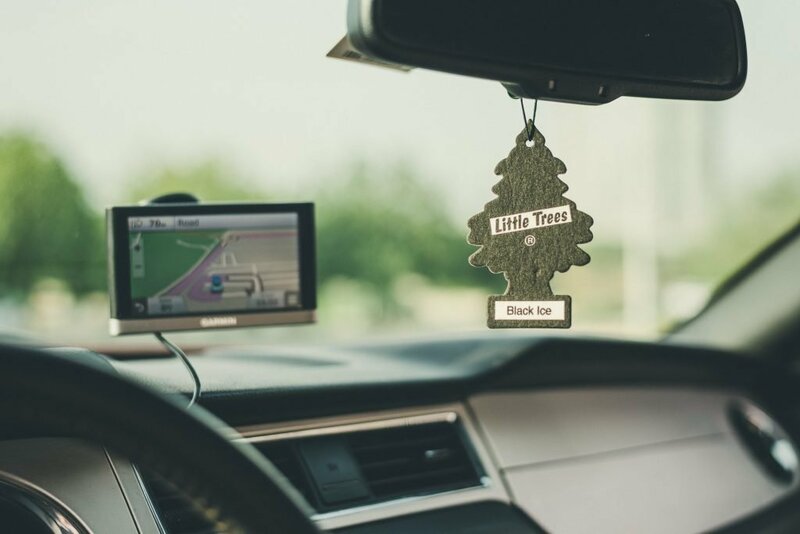 One of the most popular car air fresheners is by the Little Trees brand. The tree shaped air freshener is available in a range of different scents that include black ice to a wild cherry. Little Trees are the original car air freshener and one that you will see in many cars. They have been producing these for many years and they continue to be a big hit with a lot of drivers. They are also sold in 4 packs of 6 for extra bang for your buck. One tactic that many used car salesman do to make a vehicle feel newer is to spray an air freshener upon fabric within the car. The Chemical Guys New Car Smell spray is one of the best options for this with a formula that uses unique fragrances. In terms of usage, you will firstly want to vacuum the car then simply spray the formula onto the carpets, under seats and cloth upholstery. Chemical Guys state that the new car scent will remain for weeks but we recommend using a diluted solution on a weekly basis. This will ensure the scent is strong and you will have plenty of the spray to use. Due to the amount of people that smoke in their cars, many manufacturers have produced an air freshener for smokers. The Ozium is a gel that effectively removes smoke and cigarette odors with a consistent fragrance release. Overall, the Ozium is the best option if you are looking for a car air freshener that helps to remove smoke and cigarette odors. There are many alternatives that claim they can eliminate smoke odors but none are effective as Ozium. Meguiar’s is a brand that needs no introduction as they have an excellent reputation with regards to detailing products. Their car air freshener is an odor eliminating aerosol produces a mist that moves through the ventilation system. This is not your stereotypical car air freshener and you must follow the correct steps for the best results. To begin with, Meguiar’s recommend that you switch the AC on high, activate recirculation and then activate the Re-Fresher aerosol. You will then want to close all the door for 10 to 15 minutes and then open them all and leave the car to air out for 10 to 15 minutes. Overall, it is one of best car air fresheners but the method of eliminating odors and introducing pleasant scents may be too much hassle for some people. California Scents is a US brand that produce one of the most thought out car air fresheners available. Not only is it use 100% organic oils but it also comes with an indefinite shelf life thanks to a sealed aluminum lid, which is ideal for bulk buying. Overall, it is one of the longest lasting car air freshener that will last up to 60 days. The vented lid is a feature that we found to be very beneficial as it allows you to adjust the amount of scent that you want present. When testing, we had the lid opened halfway because anything more would be too overwhelming of a scent. If you spend the majority of your time in your car, smells and unpleasant odors can linger. These smells can include pets, gym clothes or even old fast food containers. This can affect your car journey as the smells can get too much and the longer it is left in the car the harder it is to get rid of the smells. To avoid this a good car air freshener can make all the difference. Along with using an air freshener, many people may also use a car air purifier that improves the quality of the air via negatively charged particles. However, if there is dirt or stains that hasn’t be properly cleaned, bad odors may continue to persist. To help you make an informed buying decision, we have produced the below buying guide regarding air fresheners for cars. It may be tempting to fill your car with lots of cheap air fresheners but this would be something to avoid. The US Environmental Protection Agency state that many contain harmful chemicals that can cause health issues. Therefore, you will want to check for organic formulas ingredients and not keep old air fresheners left inside your vehicle once they have past their intended lifespan. There are many types of air fresheners for your car, which include gels, diffusers, vent clips, cardboard/paper and sprays. Below are some of the pros and cons of each. Gel is a great type of freshener, they are easy to use and move round the car. This means you can change the position of the freshener depending on where the worst smell in the car is. They are small but come packed with a range strong scents. The only drawback to gel car air fresheners is that the smell is strong but most will come with an adjustable vented lid. This will allow you to adjust the intensity of the scent based upon your requirements. Diffusers rely on pads that are soaked in oil. The diffuser works by the oil being spread through the air through the holes in the air freshener. As the oils are from a natural source, they are a great option for those worried by health related issues. These types of car air fresheners can be clipped to the air vents in your car. These work by the liquid being released as the air pushes through the vents. This is a great air freshener as the smell is guaranteed to travel around your car due to the circulation of the air. In addition to this due to the size and the clips they can be changed around to any vent within your car. Cardboard/paper air fresheners are a popular choice for many people as they are effective and look great. They are ideal for gifts as they can be customised to anyone’s preferences. Many come with with an elastic strand that can be stretched and placed anywhere within the car too. A disadvantage to these type of fresheners is that they do not last very long and If it is sunny the pattern or picture on the freshener can fade. Using a car air freshener that you simply spray into the carpets, underneath the seats or any other fabric upholstery. They are very effective at removing unpleasant odors in your cars and can often be diluted with water so that they last longer. One disadvantage of using sprays is that the smell will stay in the place that has been sprayed and they also may not last as long. Car air fresheners are great when they can be adjusted. Both in length and the intensity of the scent. Firstly if you are looking at cardboard/paper air fresheners having the option to change the length can be a great saviour as they can become annoying when driving as they will move with the car. With the adjustable elastic strap you can make it as long or as short as you please. If you have a sensitive nose to scents you may find that some car smells may be too strong. Look for car air fresheners that have the option to change the intensity of the smell. Again personalising it to your preference. Size is another thing to consider when purchasing an air freshener. They come in a variety of sizes and shapes so when purchasing, ensure that you have picked the size that will suit you car best. You will want to avoid any that blocks visibility or make it difficult to drive your car. Finally ensure that you choose a scent that is organic. This is due to the fact that you will be spending a lot of time in your car you will want to ensure that your health is not going to be impacted by purchasing car air fresheners that can be dangerous for you. The length and effectiveness depends on the type of air freshener that is chosen. If you are trying to get rid of smell that is temporary then it will not matter which one you choose. You may find that most of the long lasting car air fresheners are more expensive but its worth paying the extra for the additional lifespan of it. It is important to remember that you can have the best car air freshener in the world but if you do not clean the dirt beforehand, the odor may remain. Using an upholstery cleaner for your car and then using air fresheners is the best method to tackle unpleasant smells. All of our recommendations cover a variety of different types that include a range of scents. If we have missed any that you would recommend, we would love to hear about them.